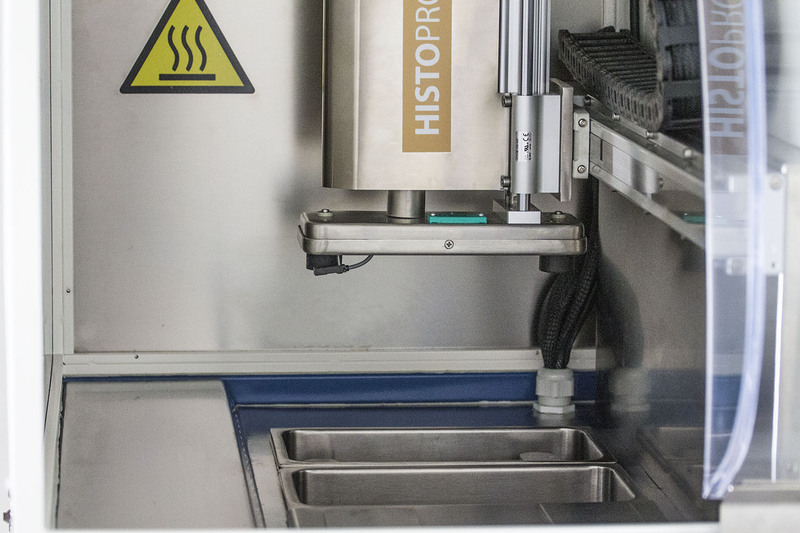 HISTOPROCESS 300 is an automated processor for histological tissues specimen that works continuously or overnight. It can use Histosafe or conventional solvents. It can work in free formalin modality or can follow the special formalin containers with rapid safety coupling, risk within the regulatory limits the risk of exposure of the health worker. The loading of the cassette rack is completely automatic: a robot takes the basket from the starting position and the automatic movement in the process chambers, placed in a vacuum and closed compartment. 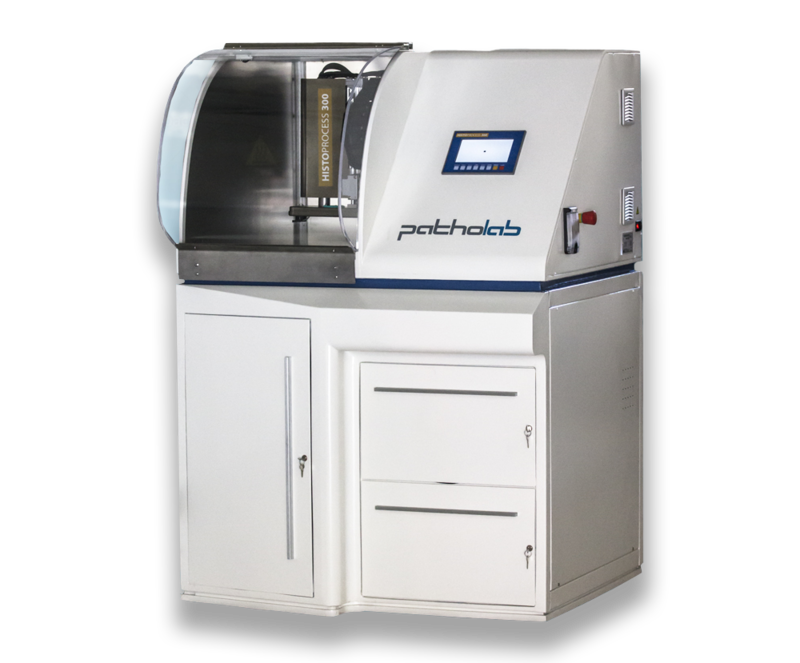 It allows continuous processing with capacity up to 300 specimens per basket with a 30 minute interval between the first and second cycles, or alternatively it processes overnight. Programs diversified by methods, using the Histosafe solvent or using conventional solvents. It fully complies with the provisions concerning the new classification of formalin, since the handling process is totally closed loop. The advantage for the operator is therefore never to come into contact with the formalin and / or dangerous solvents. Processing chambers installed in a special suction compartment, closed with a safety door, the fumes of the solvents are filtered by an activated carbon filter with external ducting. Automatic loading from special preloaded formalin tanks, with rapid anti-drip safety connection. In case you do not want to use formalin this can be substituted with alcohol. Automatic discharge of solvents, formalin and paraffin in waste water tanks positioned in a special aspirated and filtered compartment.